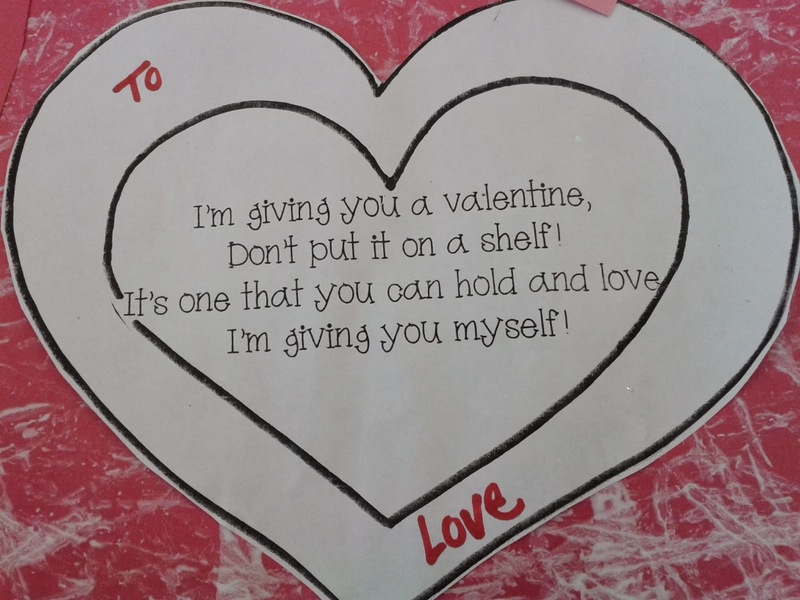 This year our class is making a "wearable valentine" to give to parents. 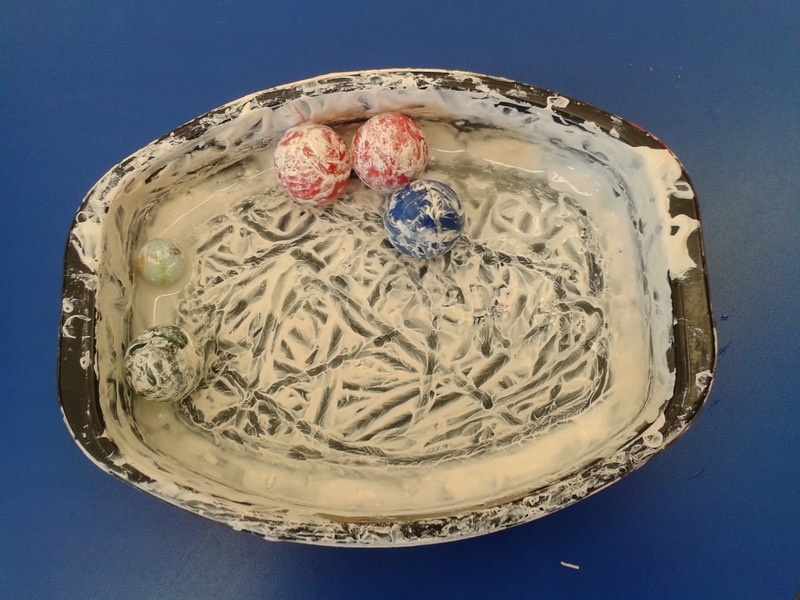 I saw a version of this idea on Crayons and Whimsy and thought it would be a great one to try with our preschoolers. Here is a sample of one of the nearly finished valentines. It just needs the string attached so that it can be worn around the child's neck. Here is a close-up of the poem. It will be so cute to have all of the children wearing their valentine (and also BEING the valentine) when the parents come to pick them up on Valentine's Day. 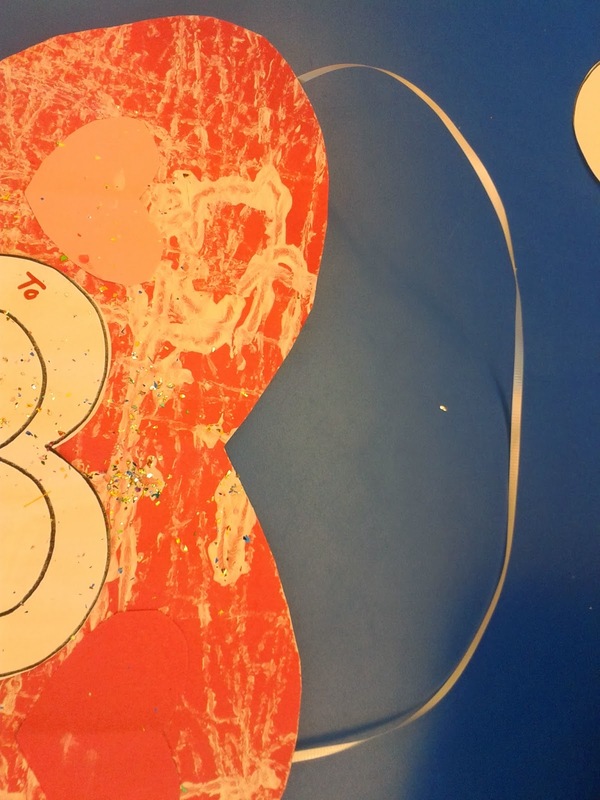 Lay the paper heart (which should be big enough to cover the children's chest and tummy) in a box or plastic bin. 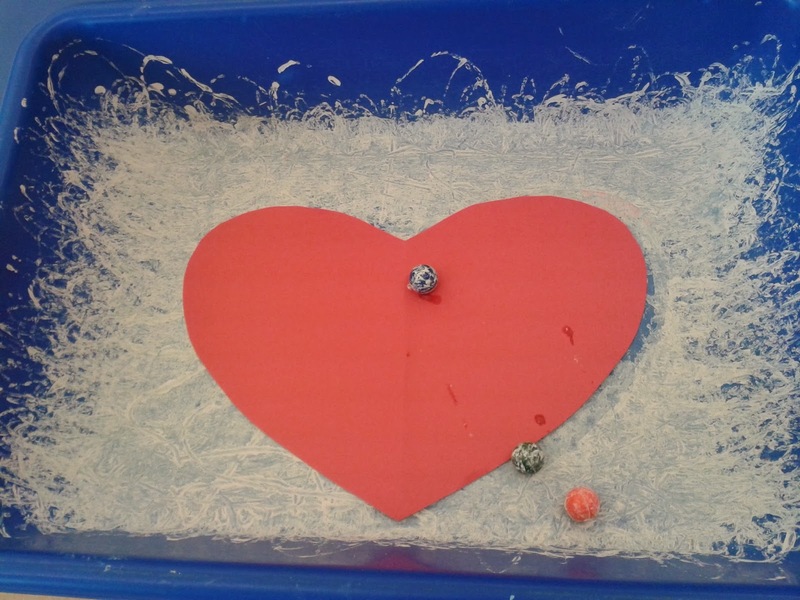 The children hold the bin and tip it around to make the marbles roll across the heart creating painting lines. 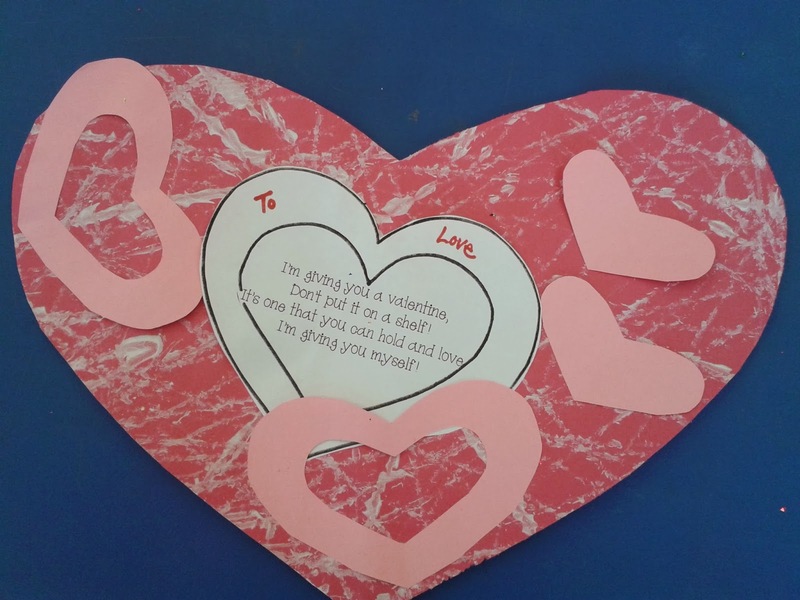 Provide a copy of the poem to glue onto the heart, as well as various other decorations (sparkles, hearts, stickers), We also gave the kids a heart shaped sponge to create heart prints around the edges. 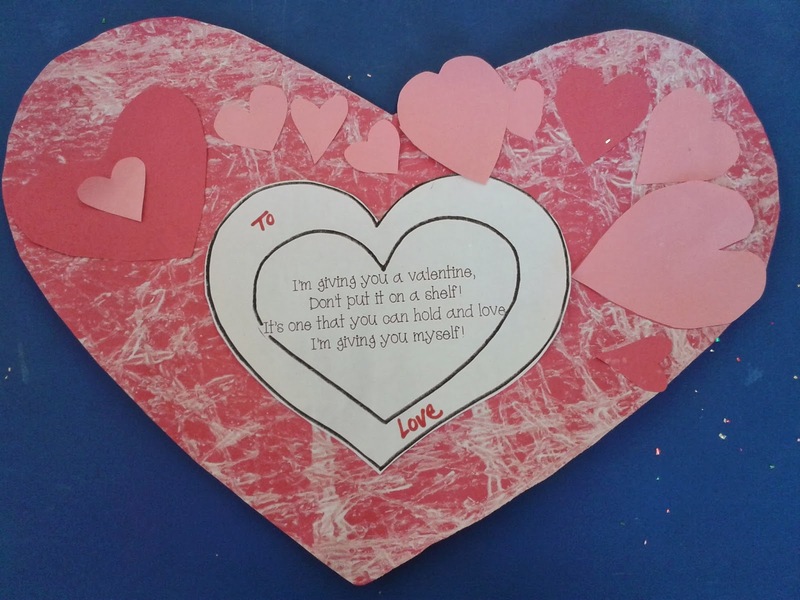 Let the valentines dry and then tape a piece of string or ribbon to the back so that the valentine can be worn around the child's neck. A wearable valentine! I think the parents will love it and it was lots of fun to make!